Tags: employing illegals, illegal immigrants, Newt Gingrich, solutions, video To share or post to your site, click on "Post Link". Please mention / link to the ARRA News Service. Thanks! Don't blame rising levels of carbon dioxide (C02) for whatever global warming is now taking place; put the blame on "old sol" the sun may be getting ready to put the world into the deep freezer. So say a growing number of scientists who have studied the effect of the sun on the earth's climate and concluded that the only thing scientists understand about climate change is that it is always changing. 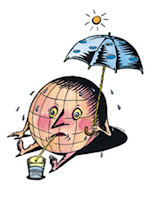 "Climate stability has never been a feature of planet earth, explains R. Timothy Patterson professor and director of the Ottawa-Carleton Geoscience Centre, Department of Earth Sciences, Carleton University. Tags: global cooling, global warming To share or post to your site, click on "Post Link". Please mention / link to the ARRA News Service. Thanks! ARRA Editor: We commend all bi-partisan efforts to cut government waste and inefficiency. WASHINGTON, D.C. (June 20, 2007) -- U.S. Sens. Tom Carper (D-DE) and Tom Coburn (R-OK) today introduced legislation to eliminate the enormous backlog of unneeded property within the federal government. The bill would help federal agencies more quickly dispose of unneeded property, resulting in billions of dollars of savings to American taxpayers. An Office of Management and Budget (OMB) report, June 15, outlined the exorbitant costs associated with agencies holding onto properties they don’t need. Excessive rules and regulations have resulted in a backlog of more than 21,000 properties worth $18 billion. The proposed bill would temporarily ease the property disposal rules and allow agencies to more quickly sell properties they don’t need. It would also give agencies a financial incentive to act by allowing them to keep a portion of the proceeds, which would otherwise go directly to the Treasury. Tags: federal property, government waste, OMB, Tom Caper, Tom Coburn, US Senate To share or post to your site, click on "Post Link". Please mention / link to the ARRA News Service. Thanks! WorldNetDaily: The path has been cleared for the state of Texas to begin building the new Trans-Texas Corridor, a project that is designed to be four football fields wide, along Interstate 35 from Mexico to the Oklahoma border . . . The way was opened when Texas Gov. Rick Perry, a Republican, vetoed a series of proposals the Texas Legislature assembled to slow down the work on what is considered to be a key link in a continental NAFTA superhighway network. Perry's latest veto was of a plan to add a number of requirements to the Texas eminent-domain procedures, under which governments can grab and use private property. . .
An override of Perry's vetoes is unlikely, since the governor threatened to call a special session of the lawmakers to handle transportation issues if his veto fell by the wayside. . . . the $180 billion needed to build the 4,000-mile TTC network planned for construction over the next 50 years will be financed by Cintra Concesiones de Infraestructuras de Transporte, S.A., a foreign investment consortium based in Spain. Cintra will own the leasing and operating rights on TTC highways for 50 years after their completion is complete. . . . Perry has received substantial campaign contributions from Cintra and Zachry Construction Company, the San Antonio-based construction firm selected by TxDOT to build out the TTC. . . . Cintra is represented in the United States by Bracewell and Giuliani, Republican Party presidential candidate Rudy Giuliani's Houston-based law firm. . . . [Read More] See also: Experts debate U.S.-Mexico-Canada "partnership"
Tags: highways, NAFTA, Rick Perry, Texas, Security and Prosperity Partnership, Texas To share or post to your site, click on "Post Link". Please mention / link to the ARRA News Service. Thanks! by Michelle Mittlestadtus, Houston Chronicle: Sen. Kay Bailey Hutchison of Texas, who has been under intense pressure from the White House and Republican leadership to support a sweeping immigration overhaul, nevertheless announced today that she will vote against reviving the legislation when it returns to the Senate floor next week. She was joined today by the state's other senator, Republican John Cornyn, who had been expected by the bill's supporters to take such a stance. They had aggressively lobbied Hutchison in hopes of adding her vote to the 60 necessary to revive the stalled legislation. Tags: immigration reform, John Cornyn, Kay Bailey Hutchison, Senators, Texas To share or post to your site, click on "Post Link". Please mention / link to the ARRA News Service. Thanks! Women's Action Group: Cheap labor, hawked by "compassionate" advocates of immigration bill will end as soon as 12 to 20 million illegal aliens become legal and discover the 60 welfare programs paid for by taxpayers. Just how long do those businesses, farmers, and advocates of "cheap labor" think these 12 to 20 illegal aliens will work for these cheap wages when they are eligible for the 60 plus government welfare programs – which will happen shortly after the bill is signed and they become legal. It won't take them very long to catch on that they can do as well or better without working. We will just have another 20 million plus people on the government dole. The welfare wages are simply too high to get people to do the cheap labor for any length of time. Then we will need another 20 million illegals who are not yet eligible for all the government benefits to do the unpleasant work for cheap wages. Never fear! After this amnesty phase, the rush on the border will guarantee cheap labor will be available, but will there be any jobs left for the Americans and how much will this influx depress American wages? The National and Arkansas Farm Bureau have endorsed the pending Senate immigration bill, saying an enforced only approach to immigration could cost US farmers up $9 billion in a year in lost production and $5 billion in reduced farm income. In other words, they want that cheap labor even if it means developing a slave labor market in our country. And hawkers of "Cheap Labor" pretend they have more compassion than we do for the illegal aliens. 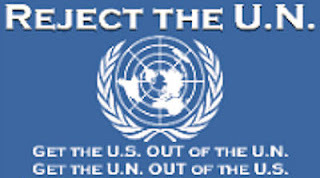 Tags: illegal aliens, labor, welfare, Women's Prayer and Action Group To share or post to your site, click on "Post Link". Please mention / link to the ARRA News Service. Thanks! Eagle Forum: Thank you Senators Sessions, Vitter, and DeMint for refusing to yield to the Pro-Amnesty "Masters of Disaster"! Radio Producers: Download Audio for broadcast. 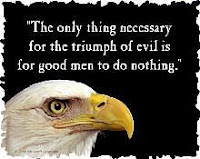 Tags: Eagle Forum, illegal immigration, video To share or post to your site, click on "Post Link". Please mention / link to the ARRA News Service. Thanks! Tags: Gallup Poll, US Congress To share or post to your site, click on "Post Link". Please mention / link to the ARRA News Service. Thanks! 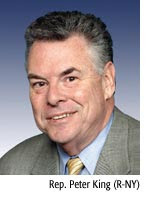 by Rep. Peter King (R-NY): The Senate immigration bill now being resurrected is long on promises and short on actual reforms. Outside of providing amnesty to an estimated 12 million aliens living in the United States illegally, the bill contains little substance. No guarantee for control of our borders. Insufficient fraudulent document protections. No real protections against alien gangs and criminals. And no fixes for our broken visa system. In other words, it is a huge step in the wrong direction, a bill that would reward 12 million lawbreakers and only serve to weaken the security of our nation. Tags: amnesty, border security, illegal immigration, immigration reform, Peter King To share or post to your site, click on "Post Link". Please mention / link to the ARRA News Service. Thanks! 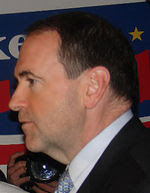 Tags: endorsement, GOP, home school, homeschoolers, Mike Huckabee, presidential candidate, Republican To share or post to your site, click on "Post Link". Please mention / link to the ARRA News Service. Thanks! Tags: President, George W. Bush, stem cell research, veto To share or post to your site, click on "Post Link". Please mention / link to the ARRA News Service. Thanks! Former NY City Mayor Rudy Giuliani 27%. Tags: Fred Thompson, GOP, presidential candidate, Rasmussen Poll, Republican, Rudy Giuliani To share or post to your site, click on "Post Link". Please mention / link to the ARRA News Service. Thanks! In case you missed it (we did) last month, Arkansas U.S. Conressman John Boozman (R-AR 3rd Dist) became the 60 co-sponsor of the The FairTax bill which now has now has 62 co-sponsors in the House (H.R. 25) and 4 co-sponsors in the Senate (S. 1025). Boozman said, "I am a firm believer that the American people are over-taxed. They are working harder then ever for their money and taking home less of it because the federal government continues to tax them at an extremely high level. I believe that the current income tax system is fundamentally flawed and in need of major overhaul. It is my intention to work with my colleagues in Congress to address the inequities in the current system and find a system that reduces the tax burden that the American people currently face." Dr. Matt Daniels: The Dove Foundation, whose mission is to encourage and promote the creation, production, distribution and consumption of wholesome family entertainment, today bestowed its coveted Family Seal of Approval on the Candid Conversations With Great Americans pilot episode, a character profile of General Norman Schwarzkopf. The Dove Foundation: "Candid Conversations with Great Americans is a television series specifically designed to explore the character and the achievements of well-known Americans whose lives offer authentic, positive role models for others. This series stands in stark contrast to the shallow or even negative role models that are often given celebrity status on television and on the silver screen." Click Here to watch the pilot's exclusive interview -- the longest interview in General Schwarzkopf's life -- and learn many truths about Norman Schwarzkopf and the history of Desert Storm that will surprise and inspire you. Tags: Dove Award, General Norman Schwarzkopf, Matt Daniels To share or post to your site, click on "Post Link". Please mention / link to the ARRA News Service. Thanks! Bill Smith, Editor: It is necessary to share the truth even when it hurts. GOP conservatives as well as the majority of legal voters are in distress over the proposed illegal immigration reform lunacy. However, the analogy of the S.S. GOP ship doesn't quite fit. The GOP Party is bigger than the President who is one member of the Party. A better analogy might be the S.S. GOP Fleet with the S.S. Bush and S.S. McCain. The analogy suffers when comparing commanders to elected officials. Military officers fail and / or suffer loss when they do not stand on the principles and their oaths to ". . . support and defend the Constitution of the United States against all enemies, foreign and domestic; that I will bear true faith and allegiance to the same; that I take this obligation freely, without any mental reservation or purpose of evasion; and that I will well and faithfully discharge the duties of the office upon which I am about to enter, SO HELP ME GOD." However, the President as Commander-in-Chief takes a lesser oath which says " . . . I will faithfully execute the office of President of the United States, and will to the best of my ability, preserve, protect and defend the Constitution of the United States." In the U.S, we elect and appoint lesser men and women to command men and women who we expect to have a higher commitment and to make the ultimate sacrifice for the general good. Such is the wisdom of protecting the general public but sometimes the process yields what Michael Reagan correctly labels "one of those curiosities." Tags: Bill Smith, Michael Reagan, President George Bush To share or post to your site, click on "Post Link". Please mention / link to the ARRA News Service. Thanks! Bill Smith, ARRA Editor: The AP reported today that New York Mayor Michael Bloomberg switched his party status from Republican to unaffiliated. He may be planning to run as an independent for the president in 2008. Bloomberg, a billionaire was a "lifelong Democrat" before he switched to the GOP for his run as mayor. Praise the Lord, this RINO has left the Republican Party! Although Democrats are saying a presidential race by Bloomberg would hurt the Republicans, they are full of hot air. He would be a spoiler for the Democrats just like Ross Perot was for the the Republicans in 1992. Bloomberg supports gay marriage, gun control, abortion rights, and stem cell research, and per news reports, raised property taxes to help solve a fiscal crisis after the Sept. 11 terrorist attacks. NY City Mayor Bloomberg is also currently heading a national group of anti-gun mayors called “Mayors Against Illegal Guns.” Bloomberg continues to try to expand his anti-gun coalition. The Munchkins sang, "Ding Dong! The Witch is dead. Which old Witch? The Wicked Witch! Ding Dong! The Wicked Witch is dead." We sing, "The RINO is Out. Which old RINO? Liberal Michael Boomberg! The RINO Bloomberg is Out!" Tags: ARRA News, Bill Smith, Democrat, liberal, Michael Bloomberg, Republican, RINO To share or post to your site, click on "Post Link". Please mention / link to the ARRA News Service. Thanks! Farm Bureau Press Release: The Arkansas State Chamber of Commerce, the Poultry Federation and Arkansas Farm Bureau have announced support for the pending comprehensive immigration reform legislation that is currently in front of the United States Senate, citing the additional border security, increased and enhanced workplace enforcement, and a workable guest worker program as critical components of the current legislation. . . . The three organizations have lobbied Sens. Blanche Lincoln and Mark Pryor on the topic, identifying the critical nature of any immigration reform and the need to get something passed this year, and hope that both senators will vote for the bill. Tags: amnesty, Arkansas Farm Bureau, Arkansas State Chamber of Commerce, Farm Bureau, illegal immigration, immigration reform, Poultry Federation To share or post to your site, click on "Post Link". Please mention / link to the ARRA News Service. Thanks! Earmarks by another name - "legislative directives"
By David Sanders, Arkansas News Bureau: It was never a question of "if," but always "when" Democrats would give into Washington's corrupt ways. When Democrats took the reins of the government's legislative branch five months ago, Nancy Pelosi, the newly installed speaker of the House, pledged that she would oversee "the most ethical Congress in history." . . . Pelosi's pledge to "drain the swamp" was short-lived. Apparently, she didn't mean what she said. Now she is allowing her Democratic colleagues to refill it, but in doing so they are trying to obscure it from public . . .
Last week, Rep. David Obey (D-WI), chairman of the powerful House Appropriations Committee, told members that spending bills from his committee would be earmark-free. Not to worry, Obey explained, members' requests for earmarks wouldn't go unanswered. In fact, he would make the process go more smoothly. Obey said that he would add earmarks to the final conference report in the fall, while House and Senate negotiators worked out the differences between their respective spending bills. . . . Therein lies the rub. The dirty little secret: When Congress' pork is added in conference, there will be no debate, no public scrutiny and no members chastising members for excesses. Taxpayers will be in the dark. . . . no member can amend the legislation. Members will only be allowed to vote "yea" or "nay." Tags: Congressional Pork, Dave Obey, Democrats, earlmarks, legislative directives, Nancy Pelosi, pork, pork-barrel spenders To share or post to your site, click on "Post Link". Please mention / link to the ARRA News Service. Thanks! by Joseph Farah: If you listen to George W. Bush and his small, fringe-like cadre of amnesty supporters, you would hear that it is virtually impossible to get more than 15 million illegal aliens out of the country. They try to get you to imagine 50,000 747s filled with deportees taking off for Mexico and returning empty . . .
Deputize, authorize and train state and local law enforcement people to identify and prosecute illegal aliens. Penalize employers who hire illegal aliens. End public services and benefits for those who cannot prove they are in the country legally. No driver's licenses for illegal aliens. Tags: illegal aliens, illegal immigration, Joseph Farah To share or post to your site, click on "Post Link". Please mention / link to the ARRA News Service. Thanks! ARRA Editor: We seldom comment on the information we post on the Blog. However, sometimes comments in stories cry out for a comment. So for the below post, you will find my comment after various statements. by NewsMax.com Staff: Unofficial GOP candidate Fred Thompson, who according to the latest Los Angeles Times/Bloomberg poll, came in a close second behind the current leader, Rudy Giuliani -- and beat everyone, including Giuliani, among self-described "religious right" voters -- may be in danger of losing supporters because of his record. In the June 25 issue of Newsweek (on newsstands on June 18), Correspondent Holly Bailey reports that the charismatic and down to earth potential GOP candidate has avoided the kind of scrutiny his rivals have faced. . . . his record in Washington will be given a closer look, and conservative voters disappointed to find that Thompson has been on the other side of some of their most important issues, including abortion and campaign fund-raising. . . . Tags: Fred Thompson, presidential candidate, Republican To share or post to your site, click on "Post Link". Please mention / link to the ARRA News Service. Thanks! by Sen. Tom Coburn, M.D. 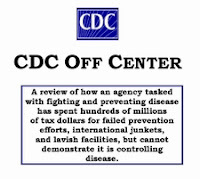 : “CDC Off Center,” a 115-page oversight report authored by the Minority Office of the Federal Financial Management Subcommittee, under the direction of ranking member Senator Tom Coburn, examines how CDC has tilted off center and makes recommendations about how it might get back on track. The American people expect CDC to spend its $10 billion budget this year treating and preventing diseases and dealing with public safety threats, including the threat of bioterrorism. While CDC will meet some of those expectations, if history is any guide, it will also waste millions . . . . Tags: CDC, Centers for Disease Control, Congressional Pork, pork, Tom Coburn To share or post to your site, click on "Post Link". Please mention / link to the ARRA News Service. Thanks! You haven't heard everything about the current, hotly debated immigration reform bill until you view CNN's Lou Dobbs' shocking analysis of the illegal immigration and blanket amnesty proposals. Vew this video, and you will understand Lou's objections. Tags: amnesty, CNN, illegal immigration, Lou Dobbs, video To share or post to your site, click on "Post Link". Please mention / link to the ARRA News Service. Thanks! You aren’t likely to hear this great news from the mainstream media, but our Coalition forces are finding increasing success, working with better-trained and -equipped Iraqi police and military. This new release is both interesting and encouraging! American Forces Press Service: Iraqi and coalition forces captured one terrorist leader and killed 16 suspected terrorists today. Ten more insurgents died in fighting yesterday. Coalition forces in Baghdad captured five suspected terrorists, including an alleged al Qaeda in Iraq emir whose organization includes a deadly car-bomb cell in the city, during two raids today. At one targeted location, coalition forces destroyed two vehicles used to transport explosives and personnel for the terrorist network. An operation in Mosul killed one terrorist. . . . Abu Ahmad was the head of five terrorist cells in Mosul and was responsible for directing attacks against Iraqi and coalition forces, . . . . "The elimination of al Qaeda senior leaders will continue to disrupt terrorist operations in Baghdad and around the country," said Army Lt. Col. Christopher Garver, a Multinational Force iraq spokesman. "Without the obstructive influence of terrorists, the Iraqi people can determine their own future." . . . In other news, troops seized several caches on June 13. Baghdad troops teamed up with a platoon of Iraqi national police to conduct a raid in the eastern Sadr City district. The troops discovered three complete 60 mm mortar systems, complete 82 mm and 120 mm mortar systems, four 120 mm mortar rounds, 32 60 mm mortar rounds, three 107 mm rockets, a rifle scope, two AK-47 rifles, two sets of body armor, and a variety of weapon manuals. Tags: al Qaeda, Iraq War To share or post to your site, click on "Post Link". Please mention / link to the ARRA News Service. Thanks! Hot Air’s Michelle Malkin takes the stage to hand out the Open Borders Oscars awards. by Debra J. Saunders: There's a way in which journalists insert how they think Americans should stand on an issue, and you see it in stories on the Kennedy-Kyl immigration bill that tanked so spectacularly in Washington. Many newspapers reported that opinion polls showed that voters supported “major provisions” of the measure —usually without mentioning that polls also found that more voters opposed the bill than supported it.
. . . the New York Times story forgot to mention: Its poll also found that 69 percent of Americans think illegal immigrants should be prosecuted and deported. No story there, I see. Pollster Scott Rasmussen found that 50 percent of voters opposed the immigration bill, while only 23 percent approved of it. “The immigration bill failed because a broad cross-section of the American people is opposed to it,” Rasmussen wrote. “Republicans, Democrats and unaffiliated voters are opposed. Men are opposed. So are women. The young don’t like it; neither do the no-longer-young. White Americans are opposed. Americans of color are opposed.” While most Americans may support giving illegal immigrants the ability to become citizens if they work and have no criminal record — a major provision cited in widely reported polls — what voters really want is less illegal immigration and stronger border enforcement. Rasmussen found that only 16 percent of voters believed the Kennedy-Kyl bill would do that. . . . Tags: illegal immigration, voters To share or post to your site, click on "Post Link". Please mention / link to the ARRA News Service. Thanks! On Father's Day, we reflect on the many ways that fathers contribute to the lives of their children with spoken words and unspoken kindness. Fathers are one of the most important influences in the lives of children, and their unconditional love is an indispensable anchor of certainty and strength. By placing their family's well-being above their own, fathers provide children with an example of what it means to be a responsible person. Through unwavering devotion and daily sacrifice, fathers work to create an environment where children are protected and encouraged. Fathers instill in their children an understanding of right and wrong and help them to grow in confidence and character. These dedicated men strive to give their sons and daughters the necessary foundation to make good choices and lead lives of purpose. On Father's Day and throughout the year, we honor the men who have taken on the great joy and responsibility of fatherhood, and we celebrate their extraordinary impact and influence. All Americans are especially grateful to the many fathers who are serving their country as members of the Armed Forces, and we lift them and their loved ones up in prayer. NOW, THEREFORE, I, GEORGE W. BUSH, President of the United States of America, in accordance with a joint resolution of the Congress approved April 24, 1972, as amended (36 U.S.C. 109), do hereby proclaim June 17, 2007, as Father's Day. I encourage all Americans to express admiration and appreciation to fathers for their many contributions to our Nation's children. I direct the appropriate officials of the Government to display the flag of the United States on all Government buildings on this day. I also call upon State and local governments and citizens to observe this day with appropriate programs, ceremonies, and activities. IN WITNESS WHEREOF, I have hereunto set my hand this eleventh day of June, in the year of our Lord two thousand seven, and of the Independence of the United States of America the two hundred and thirty-first. Tags: 2007, Father's Day, Presidential Proclamation, Responsible Fatherhood To share or post to your site, click on "Post Link". Please mention / link to the ARRA News Service. Thanks!